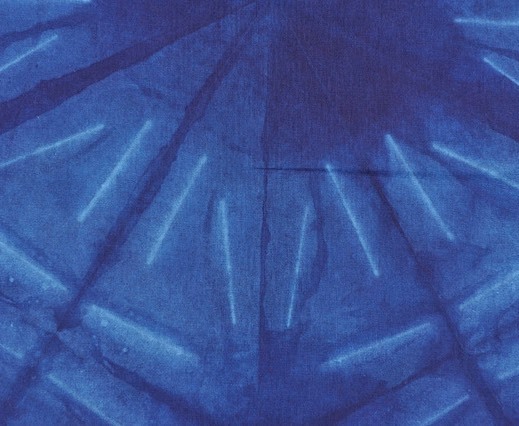 Discover the wonderful design possibilities of Indigo and Shibori in this workshop. 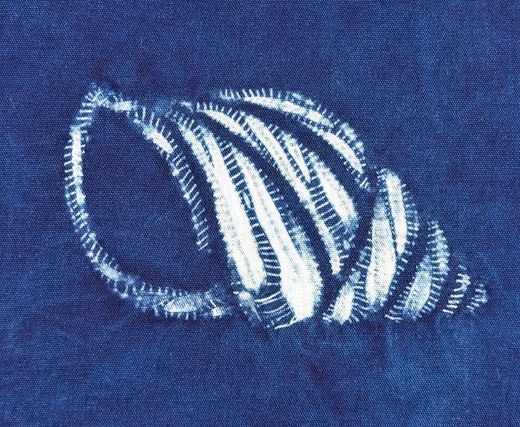 Learn details of lesser known techniques such as Guntai and Katano Shibori ( stitching). We will cover the finer points of Arashi and Bomaki,(pole wrapping) Itajime (Clamping), Wrapping and Binding as well as numerous stitching techniques including Mokume, Ori-Nui, Japanese larch and Maki-age. 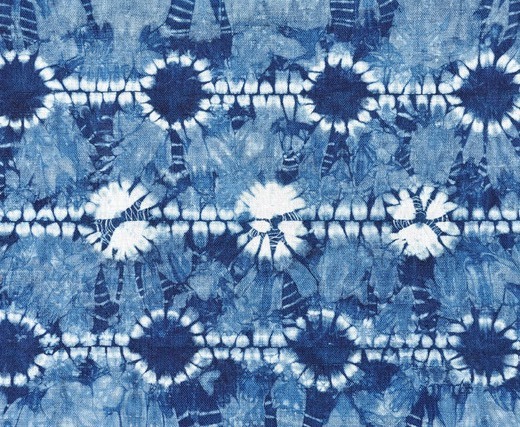 Fabrics will be dipped into an Indigo vat to produce the wonderful blue and white designs that gives Shibori cloth its distinct markings. We will experiment with full strength Indigo as well as with an Indigo wash to give the palest of blues. 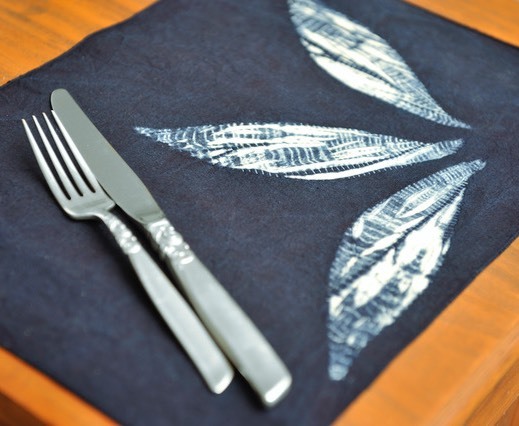 You will have a choice of Natural Bio Indigo or 60% Indigo Grains. 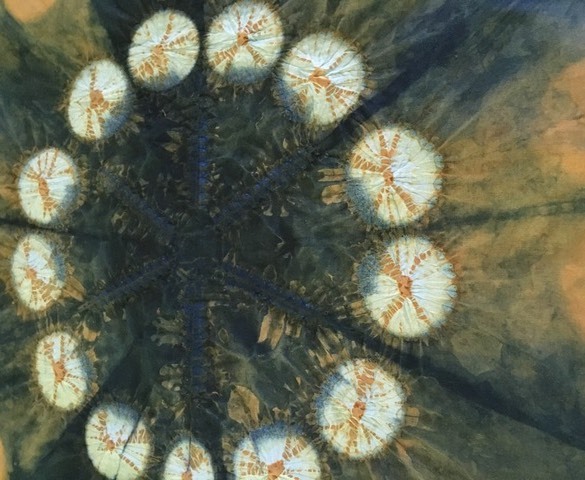 Colour will be introduced into your shibori designs by under dyeing with natural dyes. Tea, Pomegranate, Madder and Gardenia all work well with Indigo. 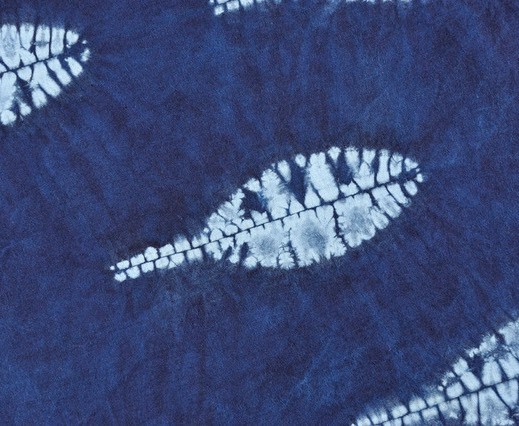 We will spend time experimenting with Iron Rust as this complements Indigo beautifully. Expect to make scarves, wraps, small fabric pieces and homewares such as placemats, table runners as well as cushion covers. 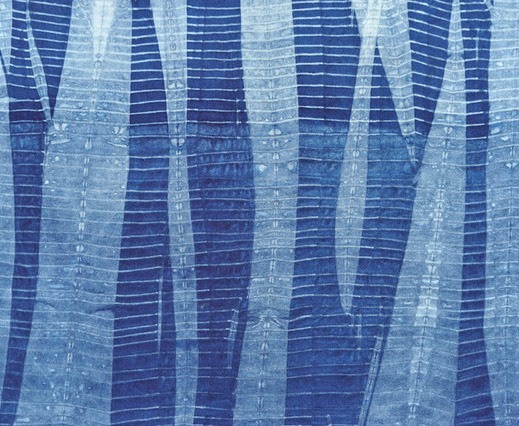 Natural fabrics such as silk, cotton, linen, hemp and bamboo are all suitable for Indigo and Natural dyes. All levels of experience are welcome from the complete novice to those with experience. You will have the option of working on Individual projects. The only requirement for this workshop is to come prepared to have fun learning new skills.